Children, these days, are not active enough! there that encourage young people to adopt a more active lifestyle, in a fun, exciting manner either. That was precisely why we were delighted beyond a point to receive the Azion Team Challenge project. Here was, we felt, a chance to make the lives of users more…’active’! As per our policy, a free app quote was sent to the concept-owner of the project, within 48 hours after we had been contacted. The paperwork were all settled without a hitch, and we could start working on the app from the next week itself. This one had piqued our interest in a big way, and we were eager to take up the challenge of making it in the best way possible. Azion Team Challenge, as the very name indicates, is an app about fitness and wellness tracking. As such, it only made sense that it should be built for both the iOS and the Android platforms. The client advised us accordingly, and our teams of iOS and Android app developers started out with the preliminary wireframing simultaneously. 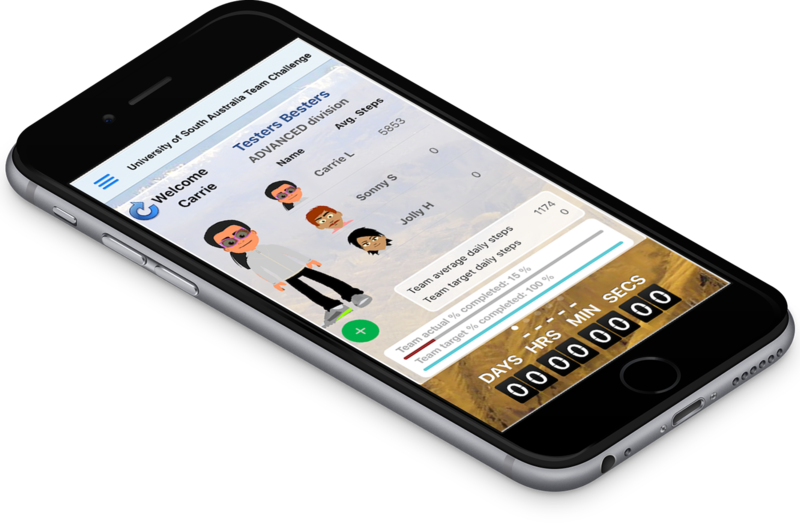 This innovative team activity management app was made compatible for iOS 8 and above (both iPhone and iPad) and Android 4.0.3 and above. This made it possible for us to target a wider audience, and make the benefits of the app reach out to a larger cross-section of people. Although primarily meant for kids and youngsters, users with other profiles can also log on to Azion Team Challenge and enjoy its features. There are, in total, 4 different user roles in the app - with individuals having the option to sign in as a student, as a parent, as a teacher, and as an organization (team entrant). The user profiles are created from the backend. As already highlighted right at the start, we were out to make an activity management app that was interesting, one which came with more than its fair share of interactive features. The app developers working on this project had several rounds of meetings with the app-owner, on how such customizations were to be included in the application. Giving users the option to choose, and in fact, create their own profile avatars was a start. For an app like Azion Team Challenge, I felt that interactive features should be present right through. Even the seemingly routine process of setting up user profiles should not seem boring. After consulting with Hussain and his team, we decided to go ahead with fully customizable profile avatars in the app. Right from opting for a male or female avatar, to choosing its face (you can even ‘generate a face’) and hair colour - a user has full control over deciding exactly exactly how (s)he would ‘look like’ on the the Azion Team Challenge community. The avatars of other team members can also be viewed. Each of the tutorial screens explains a specific feature or functionality of this all-new iOS/Android team activity app. The first showcases how the app doubles up as an exciting virtual adventure tool - across exotic locations around the world (how about a virtual trek across the Gobi Desert?). The second one highlights how unique avatars can be created/selected by users. The manner in which steps (activities) taken in the real-world are reflected as progress on the virtual map is indicated in the next screen. Finally, the fourth tutorial is all about integrating Azion Challenge with third-party applications. We come to that next. People can fill up the ‘Get Steps’ field manually on Azion Challenge. However, this is not mandatory - and the app makes things a lot easier through its seamless integration with other fitness tracker apps, both on iOS and Android. That way, the required activity fields are filled and updated real-time. 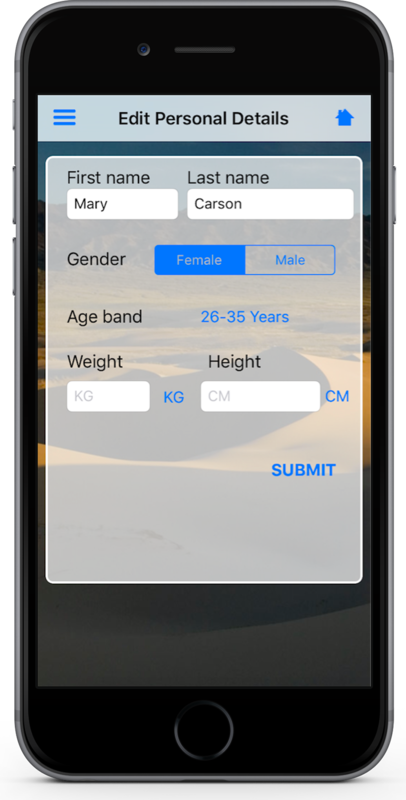 Apart from steps, users can also track weight (in kgs or pounds) and waist size (in centimeters or inches) on the app. The figures - tracked daily - are visually represented in a graph on the same screen. Comprehensive health and activity information - that’s what users can read off from this app. The features of Azion Team Challenge are not limited to simply tracking the number of steps taken by users everyday, and other health parameters. On tapping a small ‘+’ tab (from where the ‘Get Steps’ and ‘Weight Tracking’ options can be accessed), the icons for MOOD and SLEEP MOOD become viewable. Users need to rate both on a daily basis. 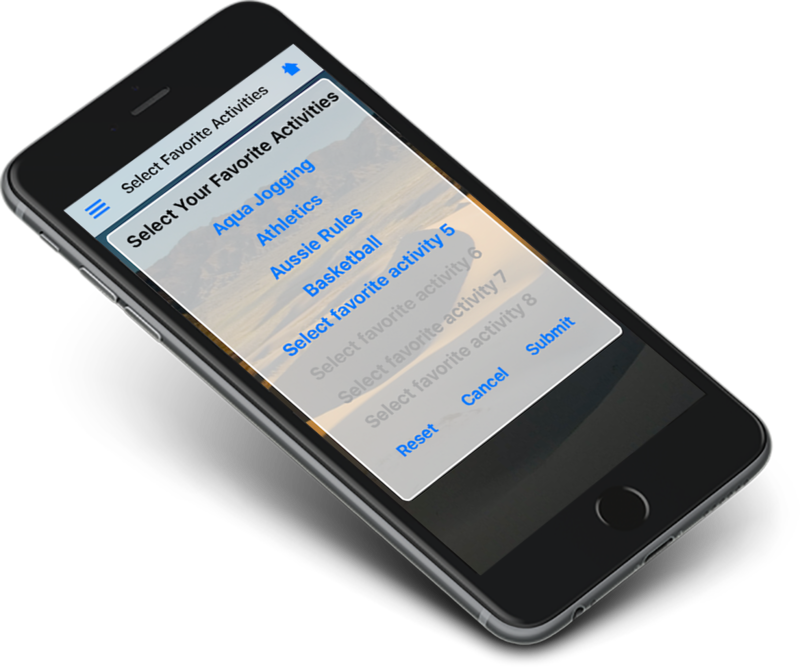 Users can select their favourite activities on the Azion Team Challenge application, adding an additional layer of personalization to it. Activities are arranged alphabetically on a scrolling drop down list - and all that people have to do is tap on their favourite ones. There are no limits on the number of favourite activities that can be chosen (at any time, 8 activities are shown on the screen). Taking Up Challenges. Tracking Teams & Team Members. All the challenges on this revolutionary mobile fitness app are related to the number of steps taken by users (e.g., “take 16000 steps in 4 days”). They are generated by the app admin. Each challenge is accompanied with a countdown timer, which gets activated as soon as that particular challenge is accepted. A user can easily check his/her position vis-a-vis the other team members directly from the app screen. The names of all the teams participating in a challenge can be seen. To view the profile of any team, a person has to tap on its name. If the activity of another team has to be tracked, the button next to its name has to be toggled to ‘On’. 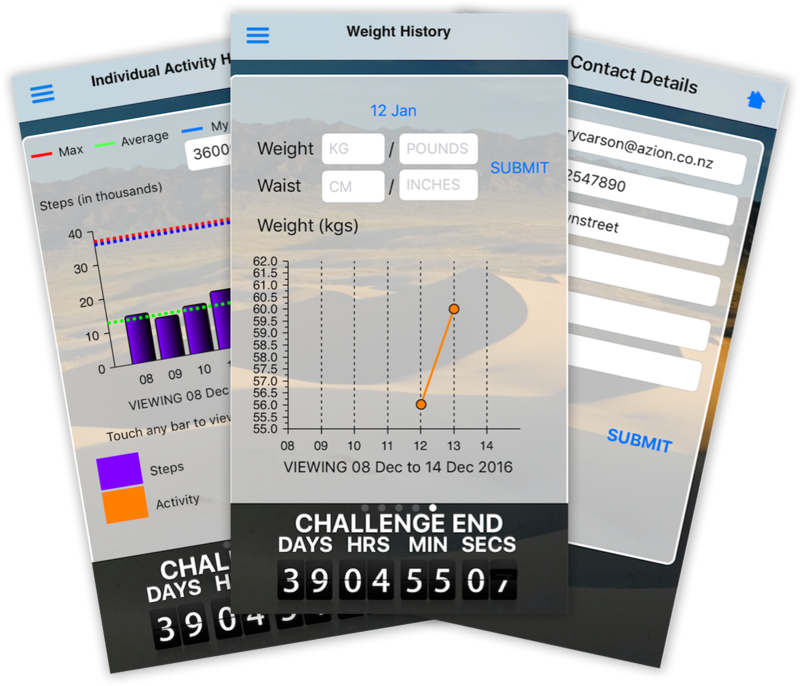 From the very outset, it was decided that Azion Team Challenge will be a comprehensive fitness and wellbeing app, for students and adults alike. Nutrition, obviously plays a big part in overall health and hygiene - and tracking it was an absolute must in this application. On the virtual map in the application, important health and nutrition facts and tips are shared with users, at regular intervals. To add to the fun activity training that forms the very essence of Azion Team Challenge, the app also has an exciting ‘Quiz’ feature. The challenges keep changing - for students, teachers and parents - keeping things engaging throughout. We paid particular attention towards optimizing the user-end experience (UX) of the app. Azion Team Challenge is driven by a noble concept, and we did not want any design glitch to ruin it. It offers users - particularly kids - a fun way to stay fitter, and it is rapidly scaling up the popularity charts.